Is asthma making your life unbearable? 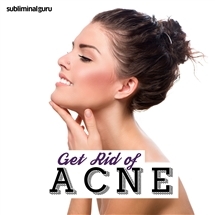 Want an effective method for easing it from the inside out? Asthma sufferers endure wheezing, coughing, tightening of the chest and shortness of breath, often gasping for air and struggling just to be able to breathe. Medication helps, but it provides only temporary relief without addressing the underlying issue. 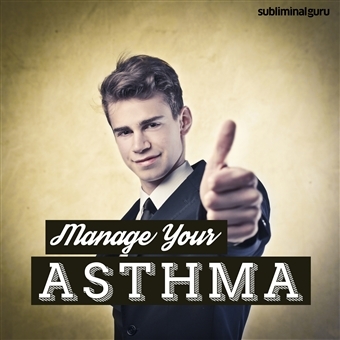 With the Manage Your Asthma subliminal session, you'll learn how to alleviate asthma attacks from within! 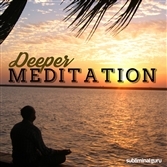 As you listen, thousands of powerful positive affirmations will rewire your mind, helping you stay calm and in control. You'll start to relax, letting your body work to restore your lungs to a healthy state. You'll feel the symptoms beginning to drift away, letting you breathe deeply and fully without any pain or adverse reactions. Ease the effects of asthma! 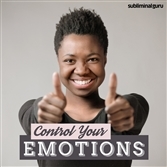 Download the Manage Your Asthma subliminal audio now to make asthma more tolerable and controllable. I breathe easily and clearly. I am stronger than asthma. I deal calmly with the onset of asthma. I keep my inhaler close by. I avoid letting asthma control my life. I practice deep breathing to keep asthma at bay. I keep track of my asthma intelligently. Asthma is only a small part of my life. I stay relaxed so my lungs can work properly. 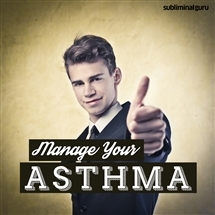 Managing asthma is easy for me.